Quite an amazing custom PC case. 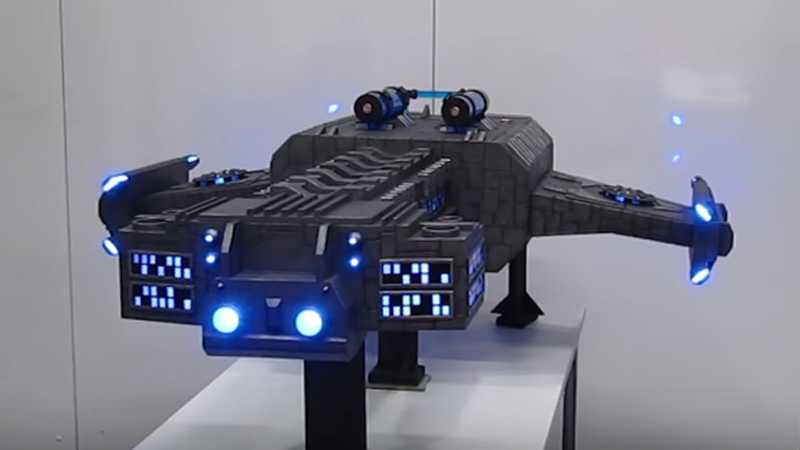 It’s a Behemoth-class Battlecruiser from StarCraft, turned into a giant PC case by German enthusiasts over at Random Design. Looks like a huge prop at first, but the water cooling on top reveals that there’s more.